The company has reported revenue of INR 132 crores against a loss of INR 13.5 crores. 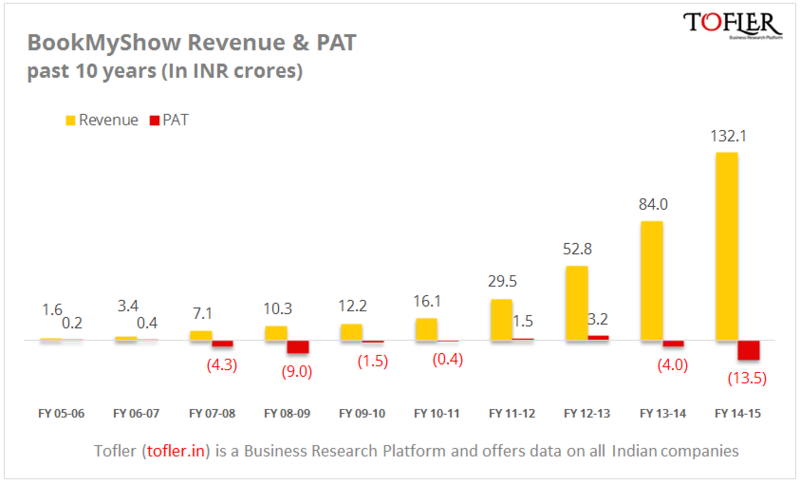 This is 57% growth in revenue over the previous fiscal. The following chart captures their financial performance over the last 10 years. The company has seen a steep 10X revenue growth in the past 5 years. The company has multiple streams of revenue generation. 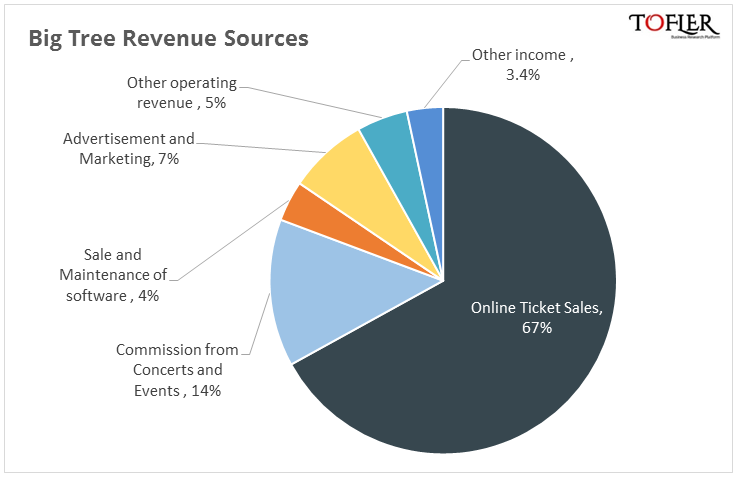 These include convenience fee on online sale of tickets, revenue from concerts and events, revenue from sale and maintenance of software, from sale of advertisement space, revenue from the call centre business. Big Tree Entertainment was founded in 1999. From 2002 to 2007 the company prepared the infrastructure to launch an online ticket booking system across the multiplexes. Once that was achieved, the company launched BookMyShow in 2007. Currently it contributes around 80% to the company’s revenue. BookMyShow currently operates in 4 countries outside India – Bangladesh, New Zealand, UAE and Indonesia. According to Forbes India, it has a market share of about 85 to 90% of the online entertainment-ticketing market in India. Apart from movie tickets the company offers tickets to concerts, plays and sporting and others events including conferences, workshops, music and travel. BookMyShow’s competitors include Kyazoonga, Ticketgenie among others. 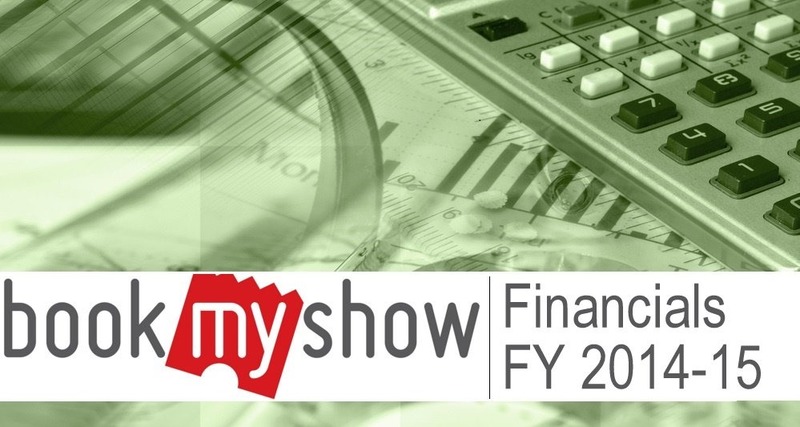 "BookMyShow Financials: Revenues Grow 57% To Touch INR 100 Cr in FY 14-15", 5 out of 5 based on 6 ratings.